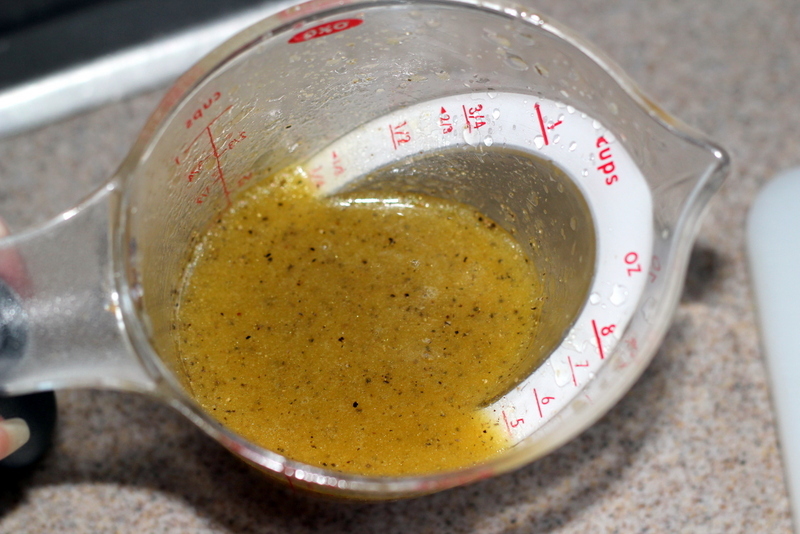 As previously mentioned (on more than one occasion), I am not a fan of mayonnaise. 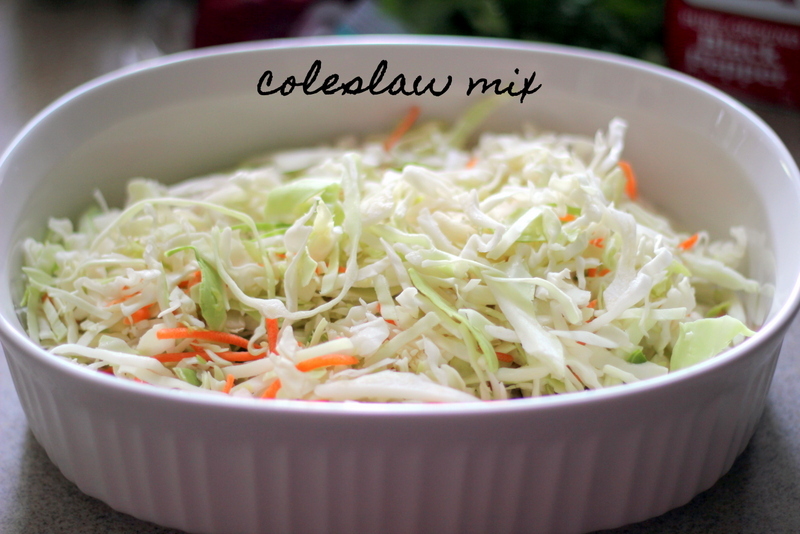 So, things like coleslaw just do not appeal to me. 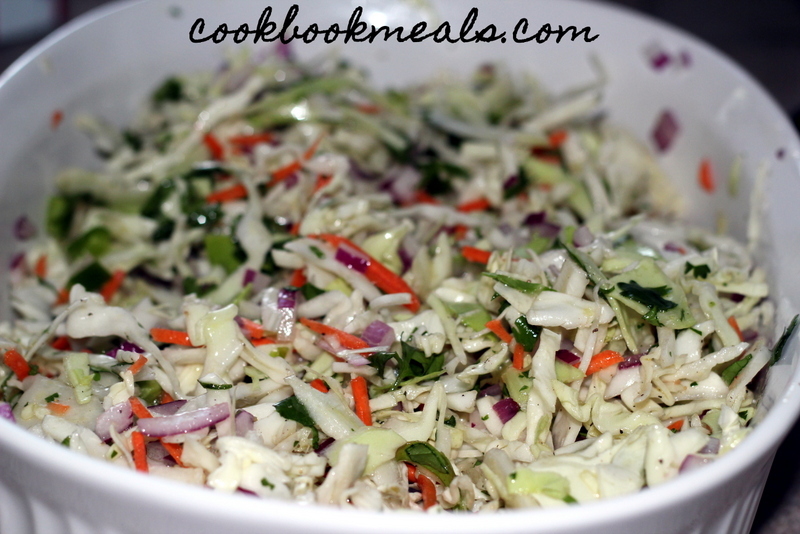 This slaw, however, is mayonnaise-free (making it perfect for outdoor BBQs or picnics) and delicious! 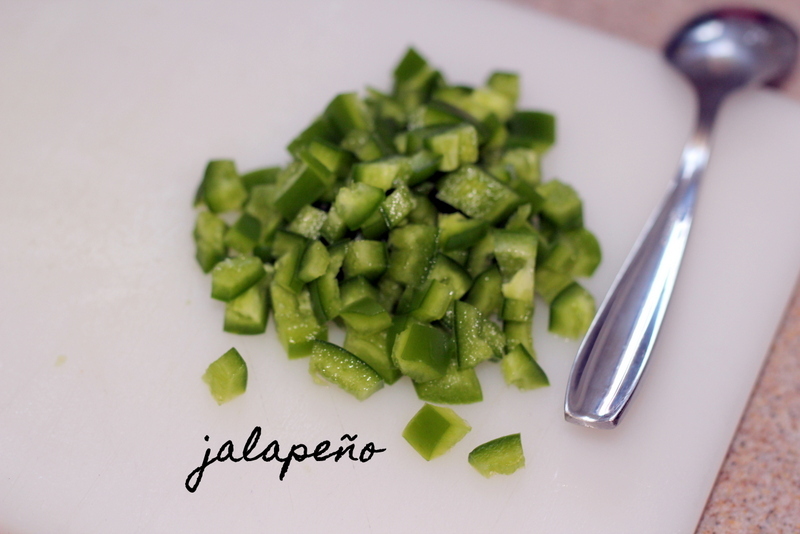 The fresh flavors of Mexican cuisine really shine through. 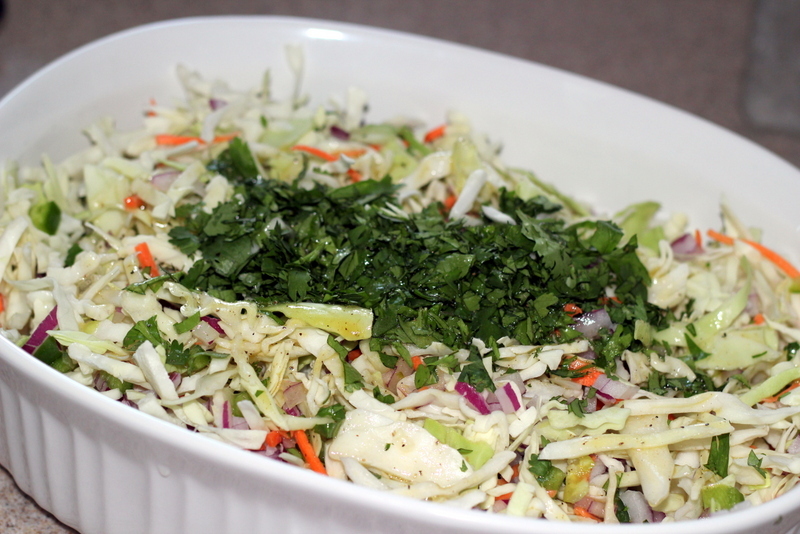 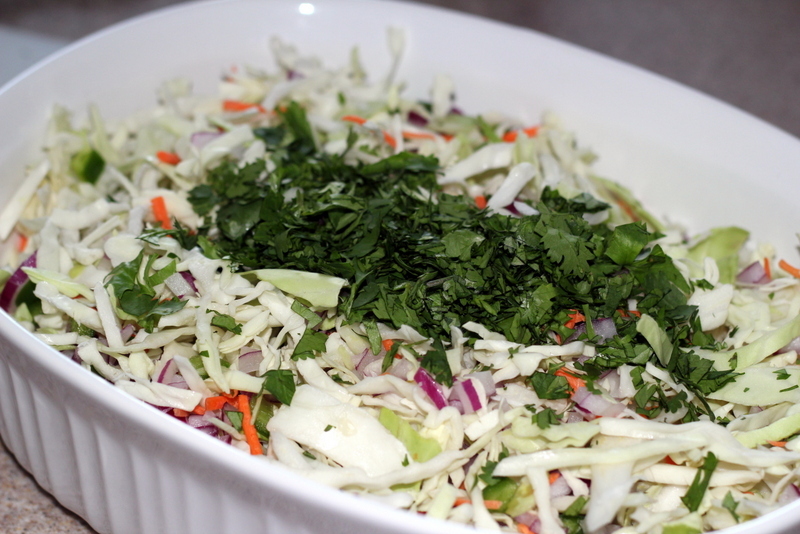 Cilantro, jalapeño, and lime pair perfectly with the crisp cabbage to make a tangy slaw. 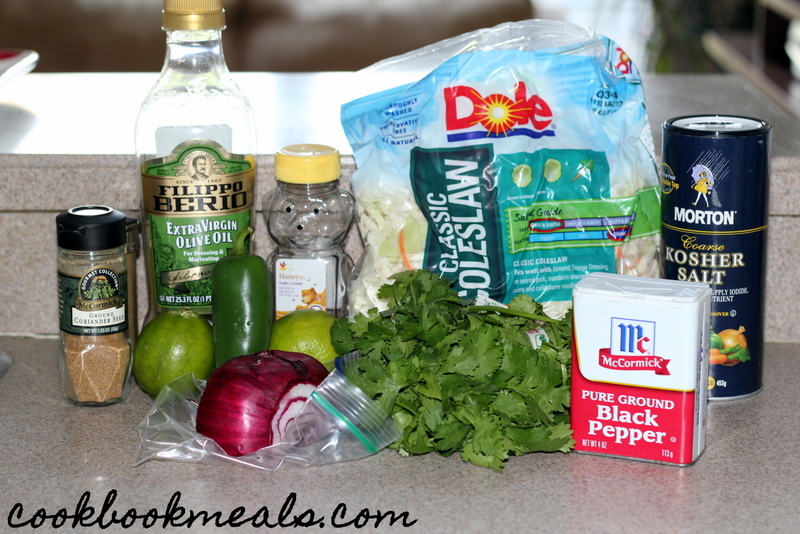 It’s great for topping sandwiches (like my Slow Cooker Mexican Pulled Pork) or as a side dish. 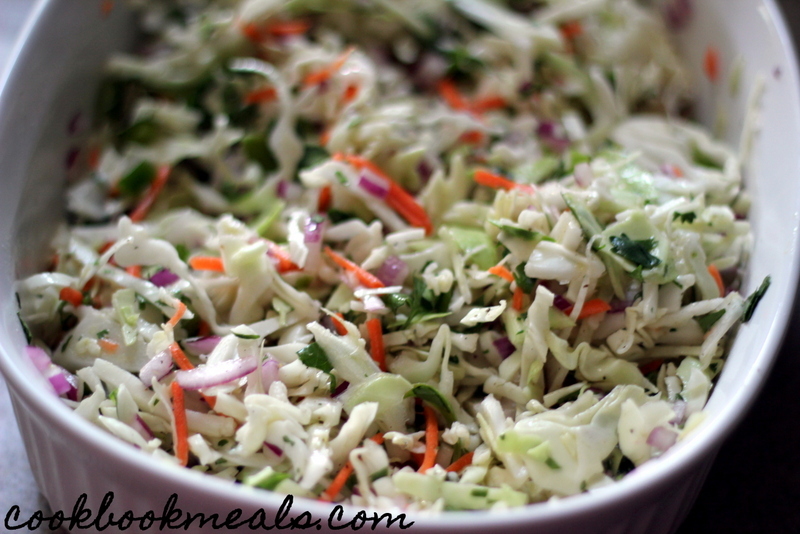 Place 1 bag of coleslaw mix in a large bowl. 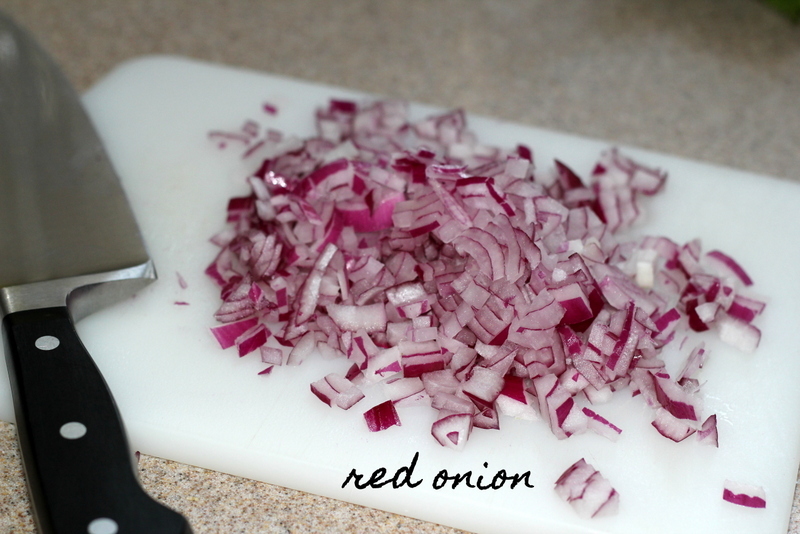 Finely dice ½ of a red onion. Add it to the slaw. 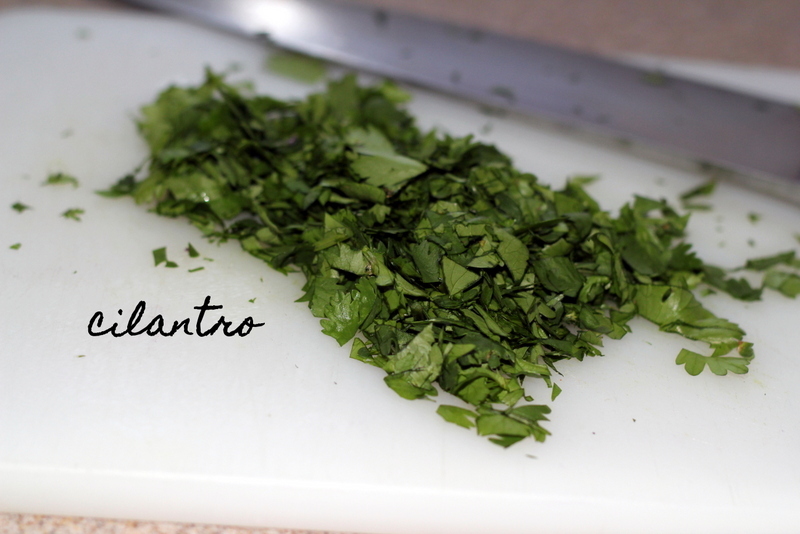 Mince up some fresh cilantro. 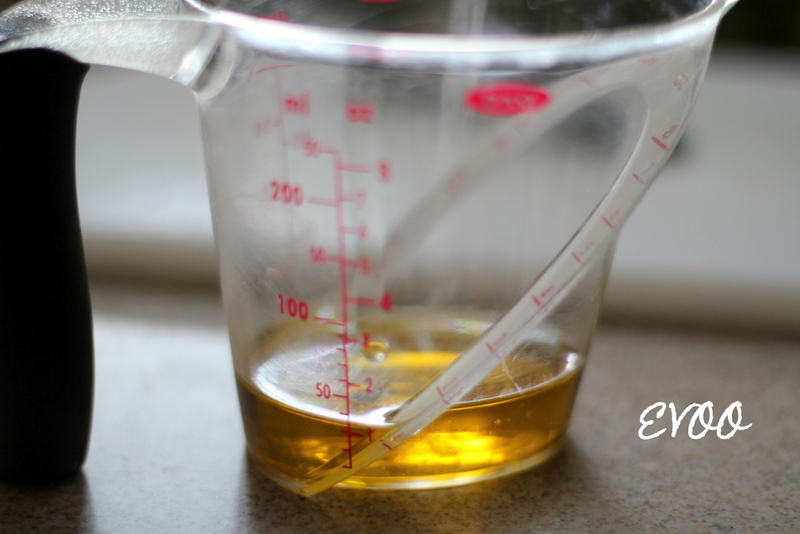 Pour 2 tablespoons of EVOO into a measuring cup (or small bowl). 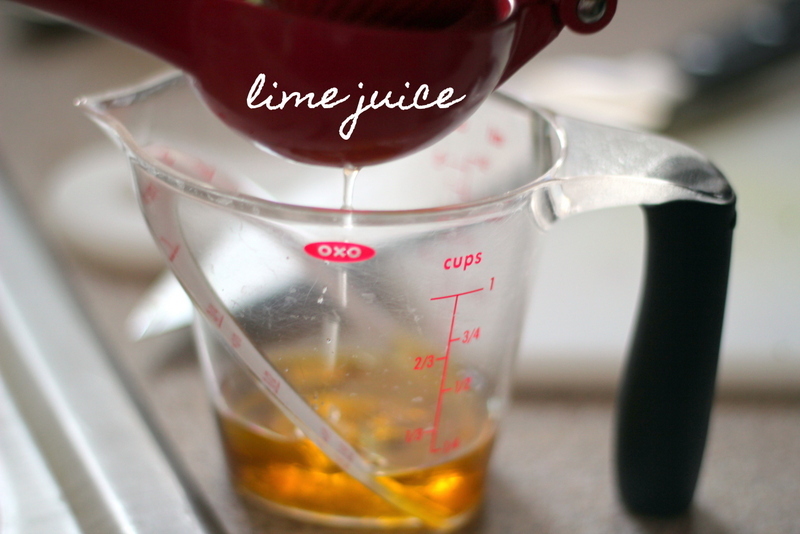 Squeeze in the juice of 2 limes. 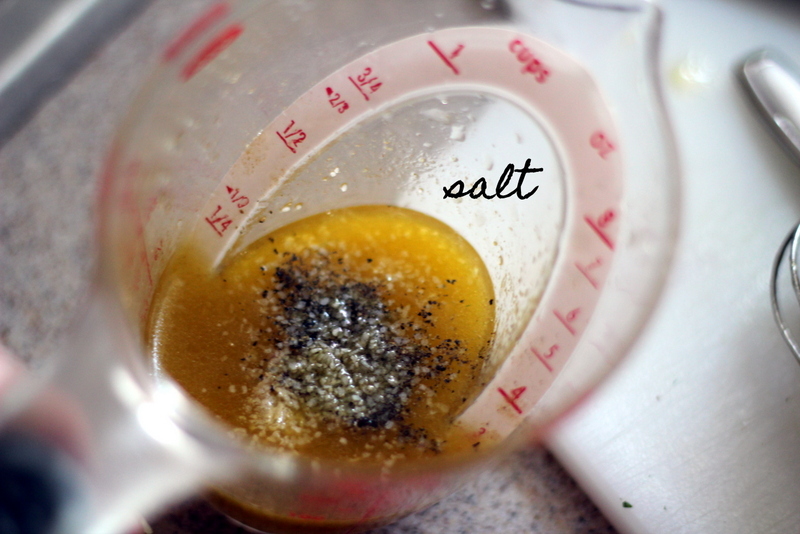 Add a little coarse kosher salt. 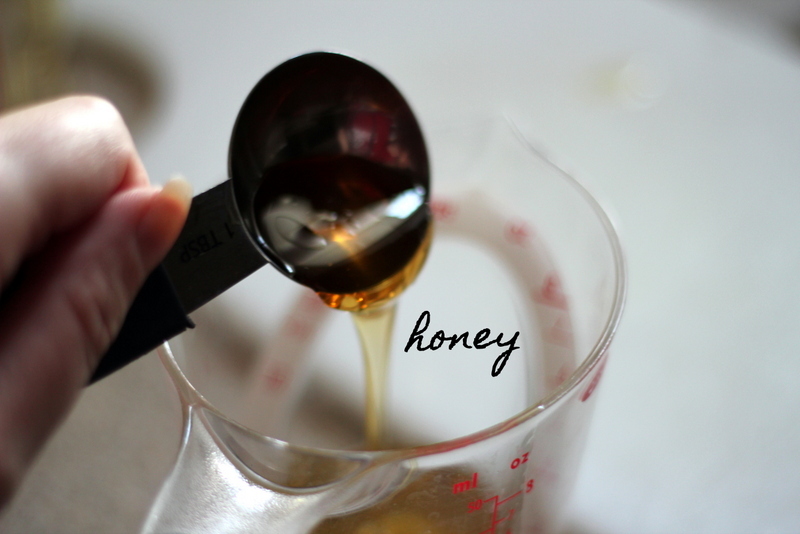 Add a little more s&p, to taste. 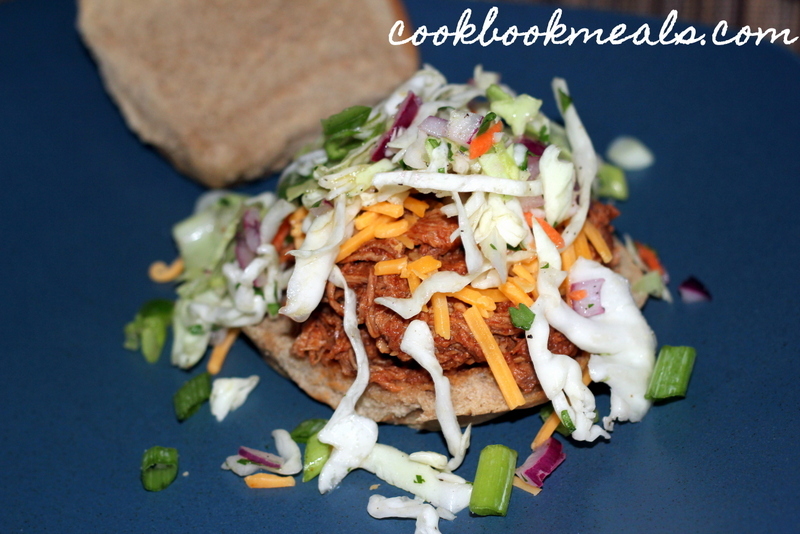 I piled the slaw high on my Slow Cooker Mexican Pulled Pork sandwiches. 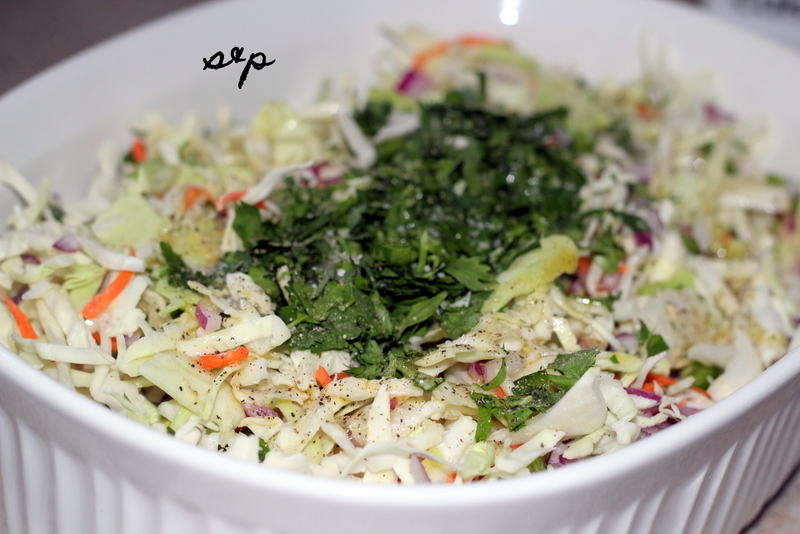 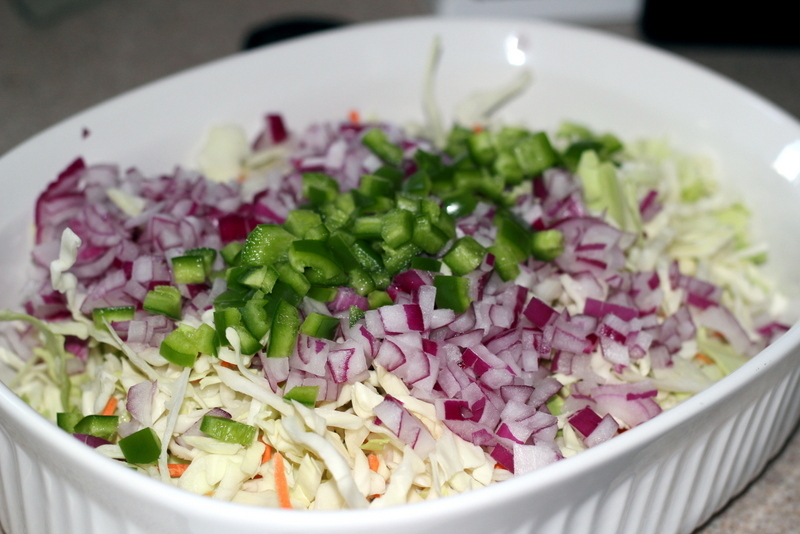 Combine the coleslaw mix, onion, jalapeño, and cilantro in a large bowl. 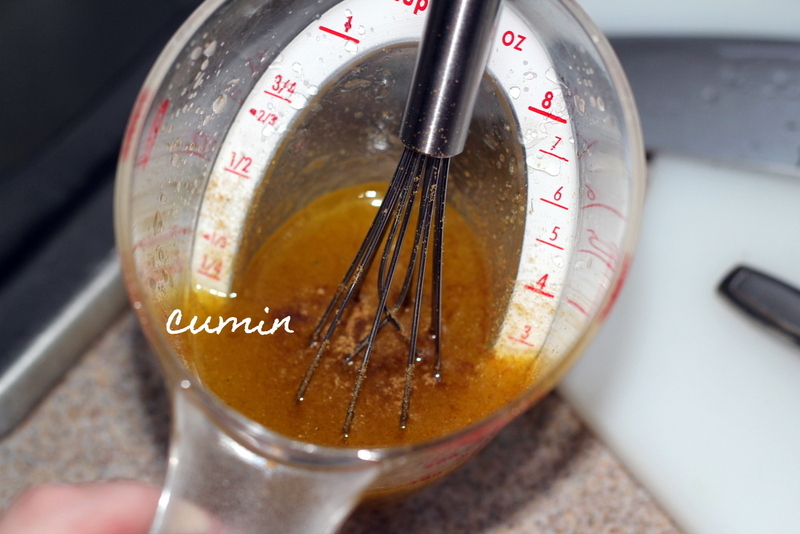 Combine the olive oil, honey, lime juice, and cumin in a small bowl. 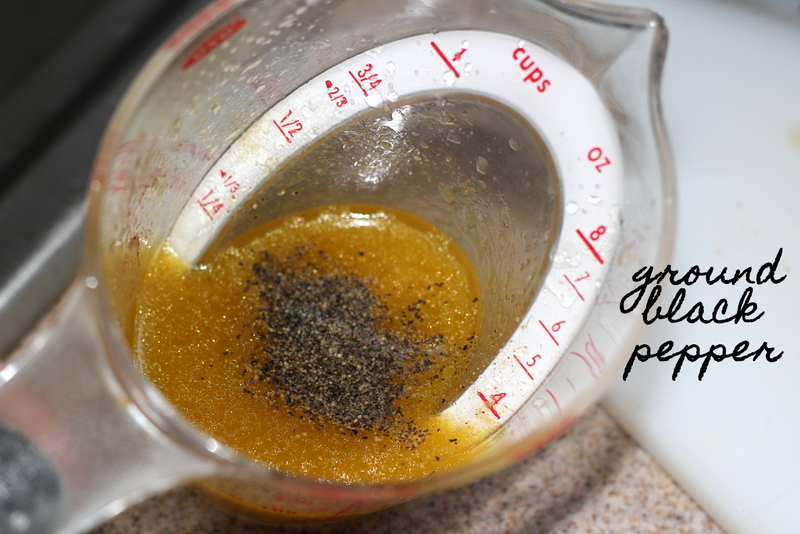 Add some salt and pepper, to taste. 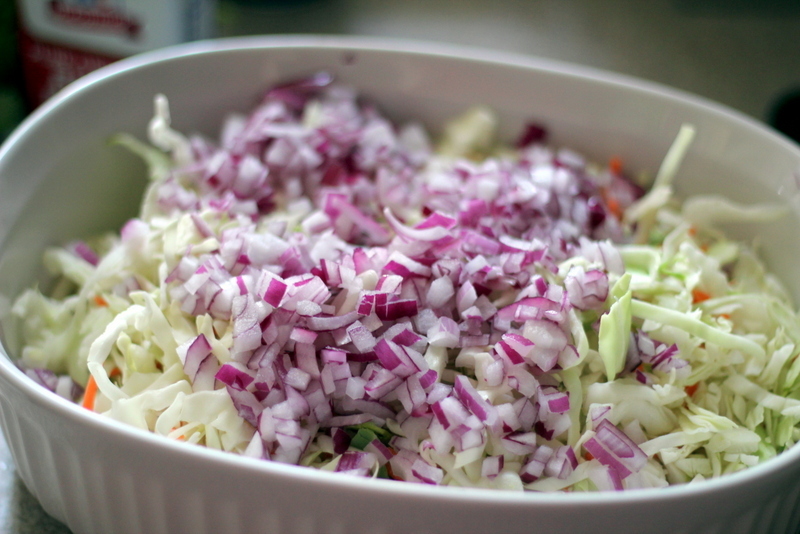 Pour the dressing over the slaw.